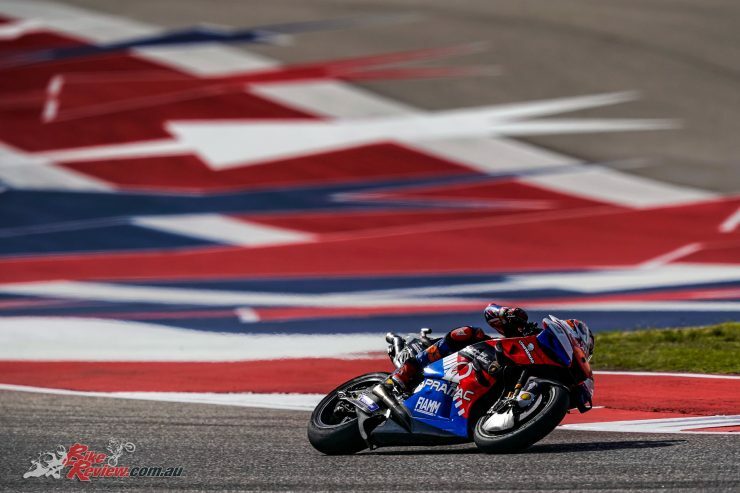 Maverick Viñales upset the odds on Day 1 at the Red Bull Grand Prix of the Americas, ending Friday at the top of the timesheets to depose six-time COTA winner Marc Marquez. Viñales stalked the reigning Champion’s laptimes throughout the day and by the end of action his 2:03.857 was just enough to pull 0.044 clear. Valentino Rossi completes the top three, with just 0.146 splitting the trio. Top Independent Team rider Jack Miller (Pramac Racing) was incredibly close, however – only another 0.002 in arrears in P4. After a cat and mouse FP1 between Marquez and Viñales, action really heated up with 11 minutes to go in FP2. The weather forecast looks like it could well worsen, meaning Friday’s times could decide direct entry to Q2 if conditions don’t allow riders to improve in the third practice session of the weekend on Saturday morning. The stage was therefore set for a serious time attack on Friday – and one that Viñales topped. Rossi was the first big improver; ‘The Doctor’ jumping up to P2 from P9 to put himself 0.105 off leader Marquez, before it was red sectors galore on the timing screens as FP2 entered the final seven minutes. Jack Miller explaining, “Finishing in Top 10 is always the main goal on friday. That’s why I can say I’m satisfied also because the weather tomorrow could be a factor for the direct qualification to Q2. The bike is working very well and I feel comfortable. In the afternoon I had some difficulties because of the wind but the balance of the day is very positive”. 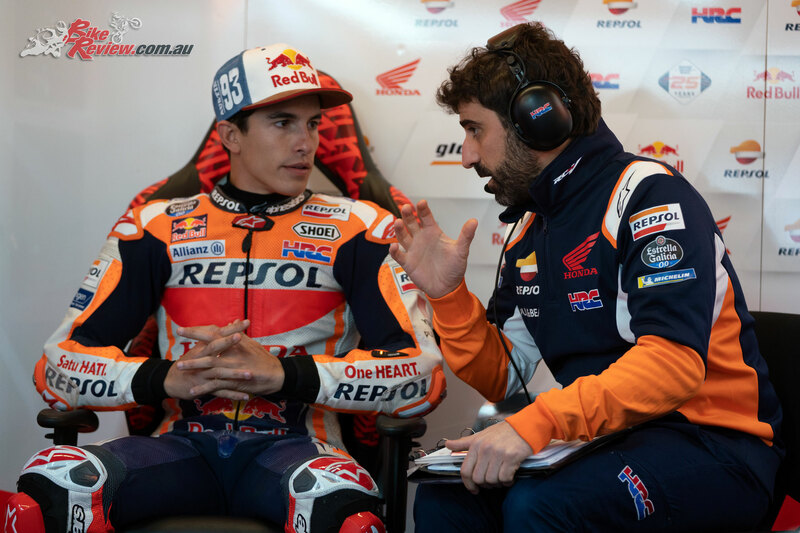 Miller was shadowing Marquez and initially it was the Ducati man who took top spot as the pair crossed the line exchanging fastest laps. But it wouldn’t last long as Viñales took over at the top, going quicker by over a tenth. After that benchmark was laid down, it looked like Marquez would go back to the top but a moment for the reigning Champion kept him in P2. 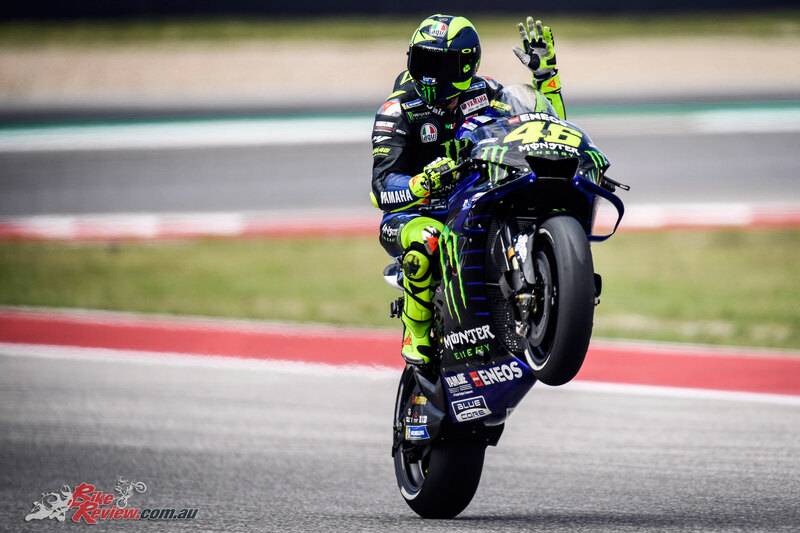 Behind the four riders within a tenth and a half at the top, Cal Crutchlow was the man who locked out the top five, two and a half tenths down on Viñales. 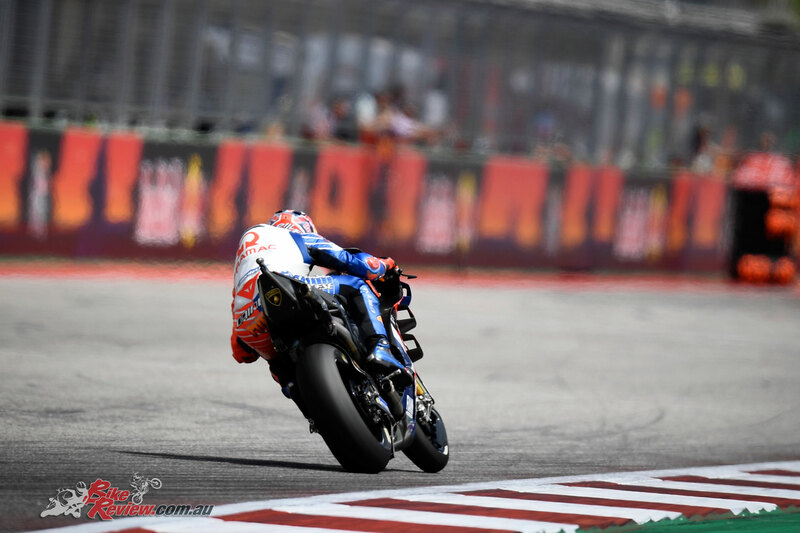 Behind him, Alex Rins took P6 with a late lunge – and broke some hearts at Mission Winnow Ducati as that pushed Andrea Dovizioso out of the top ten. Teammate Danilo Petrucci also misses out on a provisional automatic Q2 place, as does Repsol Honda Team’s Jorge Lorenzo. Seventh was a completely different story. Red Bull KTM Factory Racing’s Pol Espargaro built on an impressive FP1 to get right in the mix in FP2 as well, putting in an impressive lap to take P7 – only just over half a second off the top for the Austrian factory. Next up was Franco Morbidelli in eighth, with his rookie teammate Fabio Quartararo just behind him. Second rookie Francesco Bagnaia completed the top ten for a provisional place in Q2, with he and teammate Jack Miller the Borgo Panigale representatives highest up the timesheets on Friday. The aforementioned Dovizioso was P11, with rookie Joan Mir splitting him from teammate Petrucci, who was down in 13th. Aleix Espargaro and Takaaki Nakagami complete the top fifteen, just ahead of Lorenzo. Will the weather hold on Saturday morning and give us an almighty fight in FP3 for a place in Q2? Or have the cards been played until Q1 and qualifying? 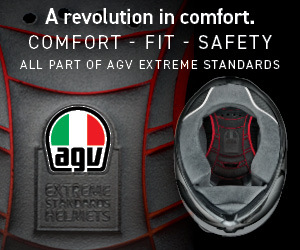 Practice for the premier class begins at 9:55 (GMT -5), before qualifying and Q1 from 14:10. 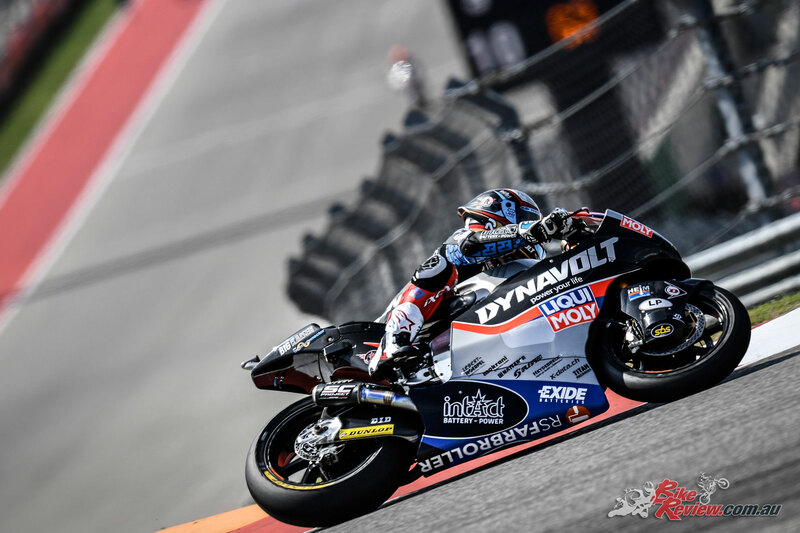 Dynavolt Intact GP’s Marcel Schrötter made a statement on Day 1 at the Red Bull Grand Prix of the Americas, moving half a second clear of teammate Tom Lüthi to end the day top in the Moto2 class. 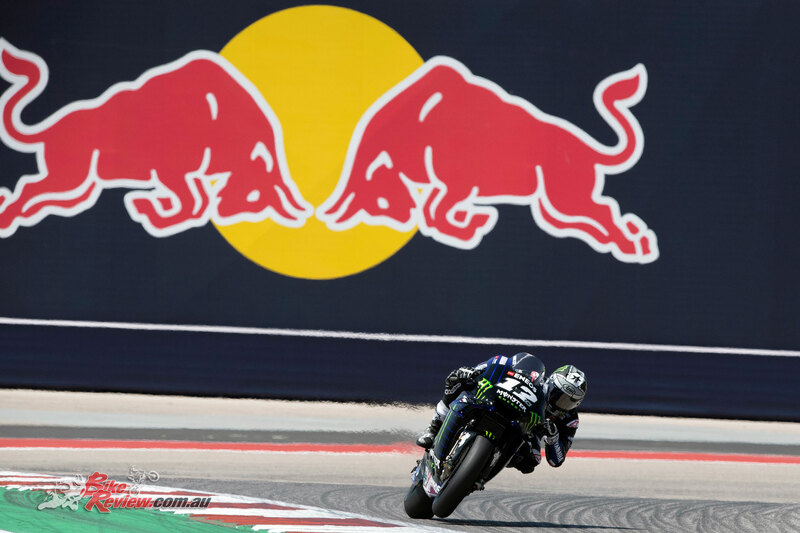 Even more impressively, the German’s time of 2:09.982 meant he was within just 0.034 seconds of Franco Morbidelli’s COTA lap record from 2017, as well as half a second quicker than the lap Alex Marquez set to earn pole position last year. Marquez, meanwhile, was just 0.090 off Lüthi to complete the top three. 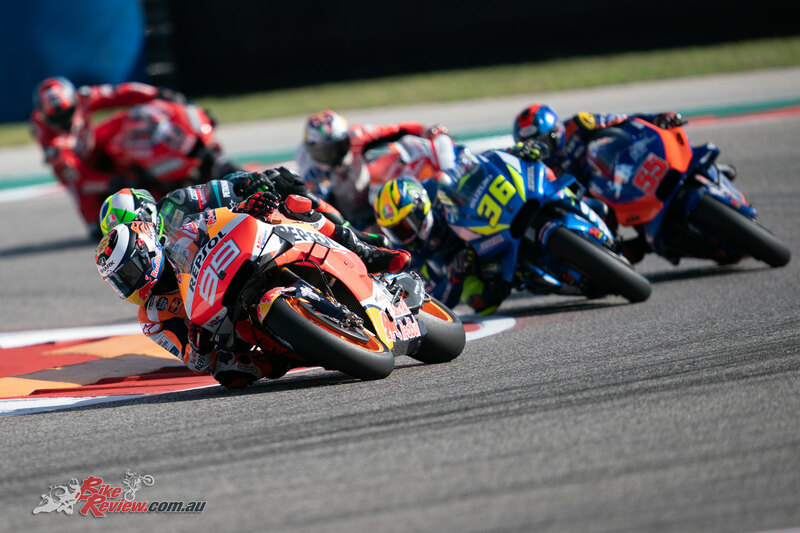 Sky Racing Team VR46’s Luca Marini was fourth fastest and still less than a tenth behind Lüthi, with former winner at the venue Sam Lowes completing the top five. Sixth quickest, having improved from 14th in FP1, was Championship leader Lorenzo Baldassarri. But he had some close company as rookie Fabio Di Giannantonio ended the day just 0.058 behind the Qatar and Argentina race winner. On his return to the Moto2 class, replacement rider Mattia Pasini was eighth quickest, just ahead of Jorge Navarro, who slipped down from the top three in FP1. Argentina podium finisher Remy Gardner completed the top ten ahead of teammate Tetsuta Nagashima, who was another of the big improvers after moving from 23rd in FP1 to P11 by the end of play. On course to join the Japanese rider in Q2 are Andrea Locatelli, Simone Corsi and rookie Enea Bastianini. Following a spectacular crash into Turn 2 leaving him unhurt, Xavi Vierge of EG 0,0 Marc VDS is currently 18th overall meaning the Argentina poleman looks like he might have to fight it out in Q1. Jake Dixon, meanwhile, was also crasher on Day 1 and the Brit was declared unfit for the remainder of the weekend after suffering a concussion. Weather in FP3 could be cause for concern, so it may prove impossible for those not in the provisional graduation zone for Q2 to improve. Find out if the intermediate class can make another push for the top from 10:55 local time (GMT -5), before qualifying at 15:05. 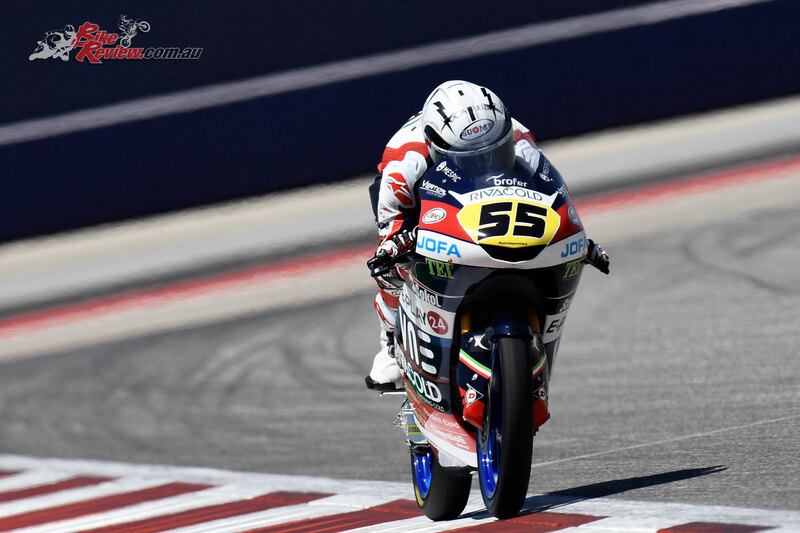 VNE Snipers’ Romano Fenati was fastest on Day 1 at the Red Bull Grand Prix of the Americas, with a frantic Moto3 FP2 session seeing the field squabbling for provisional graduation to Q2 and the two-time COTA winner coming out on top. The Italian was half a second clear of everyone else as the chequered flag came out, but SIC58 Squadra Corse duo Tatsuki Suzuki and Niccolo Antonelli closed his advantage down to 0.275 at the last minute to end the day in second and third respectively. Leopard Racing’s Lorenzo Dalla Porta was 0.612 adrift in fourth place after his final lap of the session saw him jump up the order, with Fenati’s teammate Tony Arbolino just 0.001 seconds off Dalla Porta to complete the top five. Aron Canet was sixth quickest. Redox Prüstel GP’s Jakub Kornfeil took P7, with Gabriel Rodrigo, Ayumu Sasaki and Andrea Migno rounding out the top ten. Migno and Antonelli were both crashers on Day 1. Sky Racing Team VR46’s Dennis Foggia, Petronas Sprinta Racing’s John McPhee, BOE Skull Rider Mugen Race roder Kazuki Masaki and Estrella Galicia 0,0’s Alonso Lopez – the third and final faller of the session – all hang on to provisional places in Q2 as the final riders in the fastest 14. Two men who currently stand to miss out if they can’t improve in FP3 are the Grand Prix winners so far in 2019: Kaito Toba and Jaume Masia. They have one final opportunity to move straight into Q2 tomorrow at 09:00 (GMT-5) but they’ll be praying the rain that is forecast doesn’t materialise. Qualifying starts at 12:35.